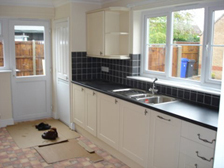 Suffolk building contractors, MJ Services can provide a full kitchen design and installation service in addition to their comprehensive range of building services. Kitchens designed and fitted by MJ Services. M J Services have a team of highly qualified design & fit personnel to meet the individual needs of their clients. 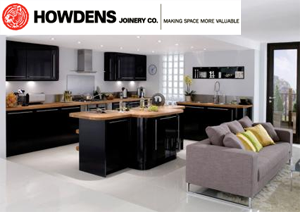 From sending out a representative, to aiding the design and fitting of your new kitchen, within your budget. You can be sure that M J Services will offer a first class service. Whether you require a complete new kitchen or a single unit, we will be pleased to offer our expertise and no obligation quotation. 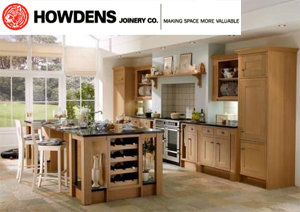 At MJ Services all the kitchens that we fit are supplied by Howdens Kitchens. 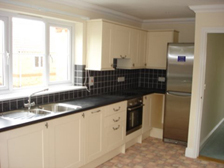 Below are photographs of a kitchen that MJ Services fitted in the Suffolk area.